The enhancement of the concept of the online casino has significantly developed over recent years, thanks to a number of reasons. An improvement in technology, combined with 24-hour access has led to players enjoying their favourite casino games more online than in land-based casinos. Another reason why the world of online casino has revolutionised the industry is because of casino bonuses, welcome offers and promotions that can be used on the games, whether it’s slots or table games like poker and roulette. At Casinobet.com, we’ve looked through and examined a vast range of casino bonuses and offers online to help you, the player, decide which are the best casinos to join and win big jackpots from. We’ve looked at the welcome bonus that is presented by one of the market leaders in the world of casino online, Betfair Casino, and have analysed it so you don’t have to. 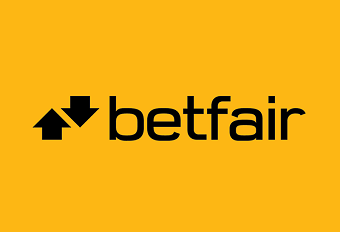 Betfair’s welcome offer is a first deposit bonus worth 100% up to £100. A first deposit bonus is pretty simple to understand. Effectively, it’s a bonus that players can claim when they place a deposit at a casino, in this case Betfair. When the player makes a deposit of a certain size, they are then rewarded with a percentage of money on top of their deposit. To claim their bonus, new players must make a minimum deposit of £10 and wager it to the requirements outlined on the Betfair promotion, which is set at x10. There is no deposit bonus code required to join Betfair Casino, all you have to do is simply place a deposit and then they can take advantage of this offer. This bonus is available to use on all games on Betfair Casino. Betfair Casino’s welcome offer is a fantastic way to introduce new players to their casino, but there are also another set of superb bonuses up for grabs on their casino. New casino customers can also receive 30 free spins to use on some of their slot games when they sign-up and register. These spins are distributed in groups of ten over three consecutive days after signing up and accepting the offer from the promotions page. There is also another welcome bonus, which combines the two bonuses already mentioned. There is an alternative first deposit bonus, where players have to deposit a minimum of £20, but in return they’ll receive a 200% bonus up to £400. On top of that, they’ll also receive an incredible 100 free spins, and, like the free spins bonus, these are also distributed over a period of time. To claim this offer, players must make a first deposit, again no promo code is required, and the bonus will be automatically credited to their account. The free spins will be credited once the wagering requirements have been completed or if the bonus has been lost. The free spins are then released in groups of 10 over 10 days and they need to be accepted from the promotion page daily. Unlike the promotion mentioned above, this offer from Betfair Casino is only available to use on slot games. There is also a 50% bonus up to £200 available on Betfair’s Live Casino, where players can take advantage of an excellent boost to use on live roulette. Live Casinos allow players to play some of their favourite table games, including blackjack, roulette and poker in a real-life casino situation with a live dealer talking you through the game. The dealer will interact with players as they wager and play the games. Once this offer has been claimed and played, Betfair will then give you five free Golden Chips released over five days (1 per day), which not only boosts a player’s gaming experience, but can also win them an extra £70 per day. One of the most exciting advancements in the world of online casino is the introduction of mobile gambling. Mobile gaming allows players to enjoy all their favourite games and everything that a casino has to offer, whenever and wherever they want. Playing on both tablet and smartphone devices has revolutionised the gambling industry and has made gameplay much more accessible to casino enthusiasts. Betfair Casino have a specific no deposit bonus for new customers who play on their mobile devices. Players can receive 30 free spins to enjoy on some of the casino’s slots without even having to place a deposit! It doesn’t get much better than that, as players can win on casino games without actually wagering any money. When you accept any bonuses (including free spins, jackpots and other cash prizes), you must first check the specific terms and conditions of use for your casino bonus before you start enjoying it. Of course, you should do this at every casino you visit, not just Betfair. Make sure that you’re fully aware of all the facts, conditions and wagering requirements surrounding a deposit bonus or any welcome offer before using it. There is nothing worse than winning on a casino bonus, then realising that you’ve misread or misinterpreted the smallprint that is mentioned in the terms and conditions.